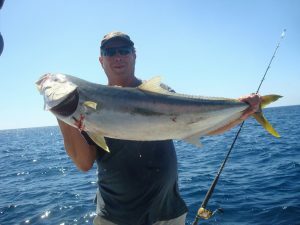 This is the perfect fishing outing for families and beginning ocean anglers as well as those visitors with limited free time during a visit to town. 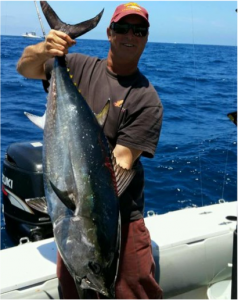 This trip will be fishing for inshore species such as Yellowtail, halibut, bass and rockfish specializing in light tackle. 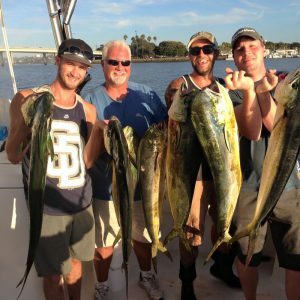 The kelp beds off of Point Loma and La Jolla are a short 30 to 45 minute boat ride from the dock and offer a variety of fishing opportunities. In the spring and summer months, surface fish like Bonito, Barracuda and Yellowtail are targeted, but there can also be great action fishing for Kelp Bass and Sand Bass. 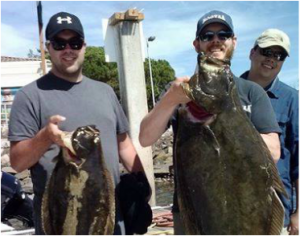 Although opportunities for surface fish are available year round, cooler waters in the winter tend to shift focus to fishing the bottom for Rockfish, Halibut and Lingcod. Meals are not included. There is a deli located at Dana Landing and you can pre-order sandwiches or you may bring aboard whatever you choose.If you plan to bring beverages (alcoholic or non-alcoholic), please do not bring glass bottles for safety reasons. There is a cooler on board.